How Sweet The Sound blog. at the Finch Rest Emporium. I hope you can take a look! out the others' wares as well. I know Beverly would love to have you link up! You needn't have a shop to do so! Would love you to check them out if you missed! Very nice pieces, Michele. I'll take a stroll through the Emporium. 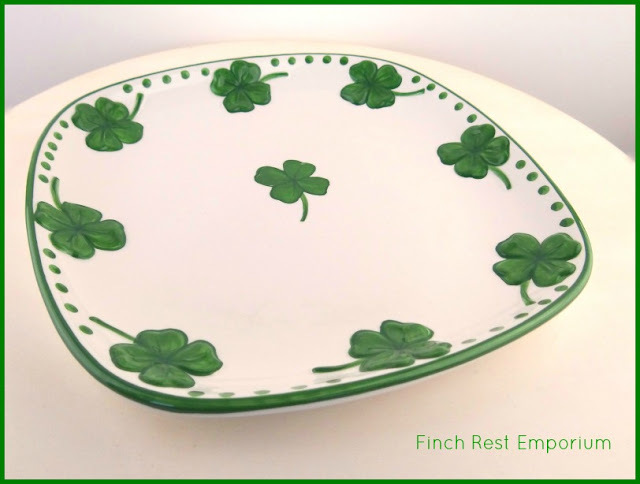 Michele - Love your shamrock dishes!! 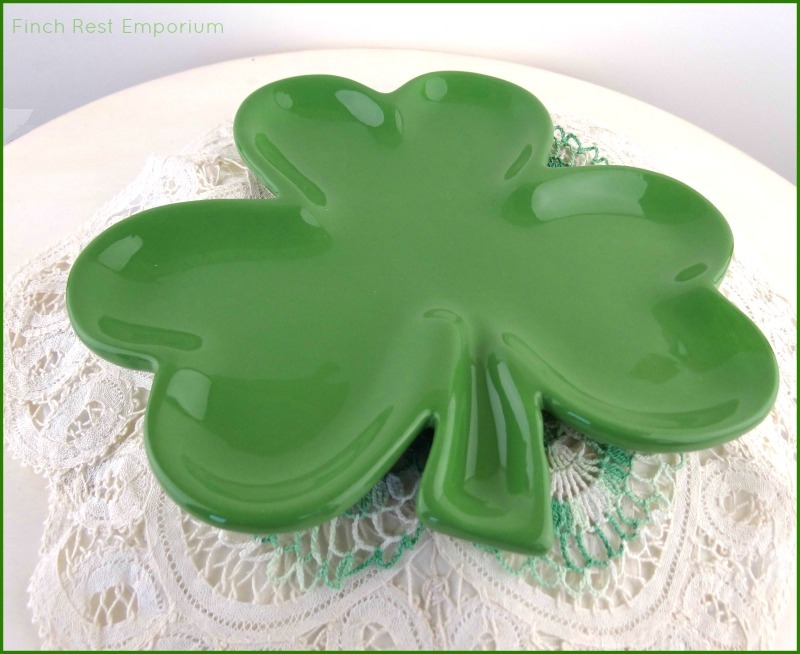 My birthday is St. Pat's day so I'm always interested in pretty shamrock dishes. Thanks for sharing. I never get tired of shamrock goodies. Most enjoyable Michele. Thanks for all the posts. 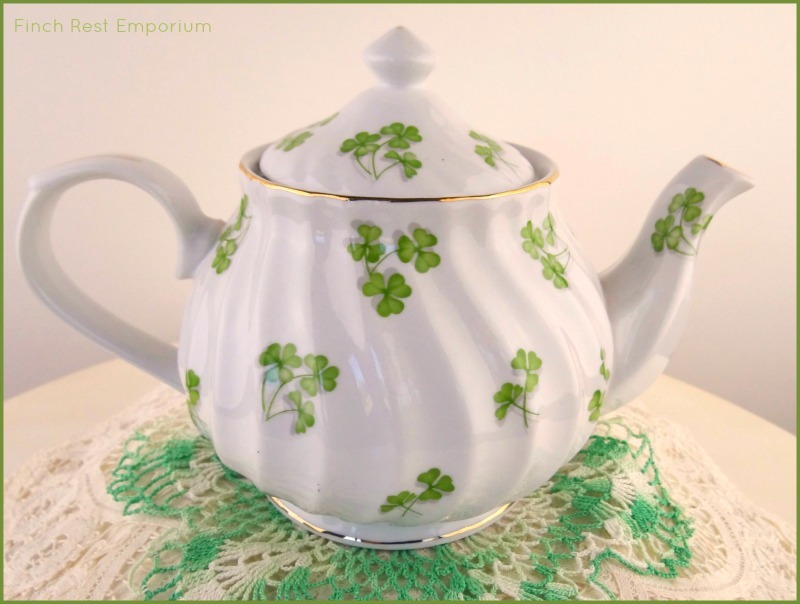 I love your swirlly shamrock teapot. 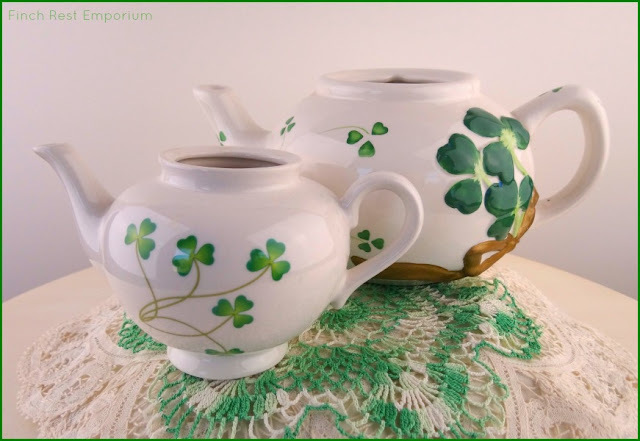 You are lucky to have so many shamrock pieces. (I saw your last two posts). Every piece is so pretty. Thank you for sharing. I'm behind in reading my favorite blog. I went to visit my Dad for a week and look what all I have missed. HAPPY EASTER - a few fun ways to say it! Easter Baskets at The Emporium! Easter Stirrings & Spring Giveaway! Wacky Wonderful Wordless White Wednesday!